SAINT PAUL, Minn. – The National Collegiate Hockey Conference’s annual championship weekend is heading to Saint Paul, Minn. beginning this upcoming 2017-18 season. The NCHC Board of Directors recently approved the move to make Xcel Energy Center the future home of the NCHC Frozen Faceoff. The Conference and Xcel Energy Center have agreed to a five-year contract for the home of the NHL’s Minnesota Wild to host the Frozen Faceoff through 2022, the NCHC and Xcel Energy Center announced Thursday, Sept. 7. The NCHC Frozen Faceoff is the culmination of the NCHC Tournament, with the two semifinals taking place on Friday followed by the third-place game and championship on Saturday. This season’s Frozen Faceoff will take place on March 16-17, 2018 at Xcel Energy Center. Ticket renewals and general on-sale information about the 2018 event will be announced in the coming weeks. Ticket buyers from the 2017 Frozen Faceoff will have priority and the first opportunity to purchase tickets for the 2018 Frozen Faceoff in Xcel Energy Center. Considered one of the finest arenas in the world, Xcel Energy Center is a one-of-a-kind, multi-purpose sports and entertainment facility located in downtown Saint Paul, home to more than 150 sporting and entertainment events and roughly 1.7 million visitors each year. Xcel Energy Center opened on Sept. 29, 2000 and has been home to the NHL’s Wild ever since. In addition, the arena hosts the Minnesota State High School League Boys’ & Girls’ Hockey Tournaments annually and has previously been the home of both the Western Collegiate Hockey Association’s (WCHA) championship weekend and the Big Ten’s championship tournament. Other notable hockey-related events held at Xcel Energy Center include the 2002 and 2011 NCAA Division I Men’s Frozen Four, the 2011 NHL Entry Draft, the 2004 NHL All-Star Game, the 2004 World Cup of Hockey and the NHL Stanley Cup Playoffs. Xcel Energy Center will also host the 2018 NCAA Division I Men’s Frozen Four next April and has previously hosted the NCAA Division I Men’s Ice Hockey West Regional four times, doing so every other year from 2010-2016. "The Frozen Faceoff’s move to Xcel Energy Center continues to bolster the NCHC’s momentum as the premier college hockey conference in the country,” said David Sayler, Miami University Director of Athletics and Chair of the NCHC Athletic Council. “Providing a first-class tournament environment for our student-athletes, alumni and fans is what we strive for as a conference, and all our member institutions are very excited about the new partnership with Xcel Energy Center." 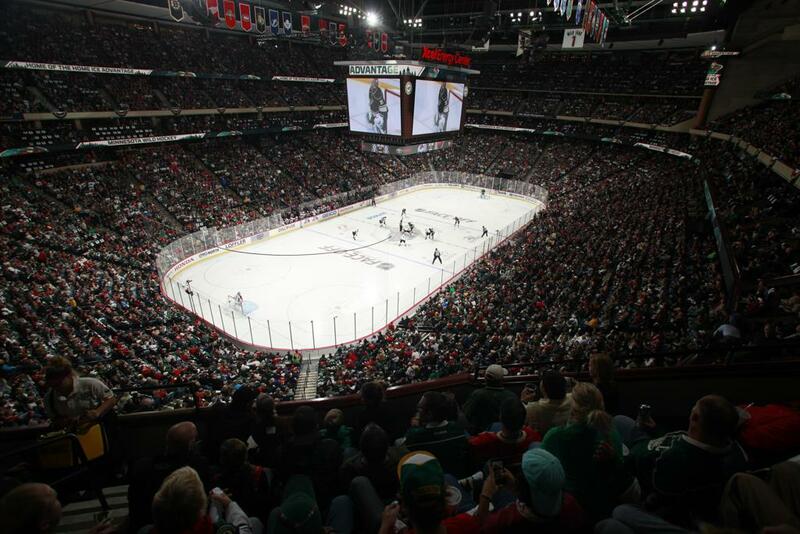 Xcel Energy Center has a capacity of 18,568 with four seating levels. Fans attending Xcel Energy Center will have access to free Wi-Fi throughout the arena and will be able to enjoy the HD LED center-hung videoboard that stretches from blue line to blue line, which was installed in 2014, along with other technology upgrades. Xcel Energy Center has received numerous awards and accolades over the years, including being rated the “No. 1 Fan Experience” in the NHL in 2014 by ESPN the Magazine and earning the distinction of being rated the second-best NHL venue by Stadium Journey Magazine in 2015. Not only is the NCHC Frozen Faceoff moving to Saint Paul, but the conference’s annual Media Day is also shifting to the city of Saint Paul beginning this season. NCHC Media Day will take place on Wednesday, Sept. 20 at Xcel Energy Center. Representatives from the NCHC, Xcel Energy Center, Minnesota Wild and Visit Saint Paul are expected to be on-hand at the conference’s Media Day. The city of Saint Paul is the capital of Minnesota, with a population of 304,442. 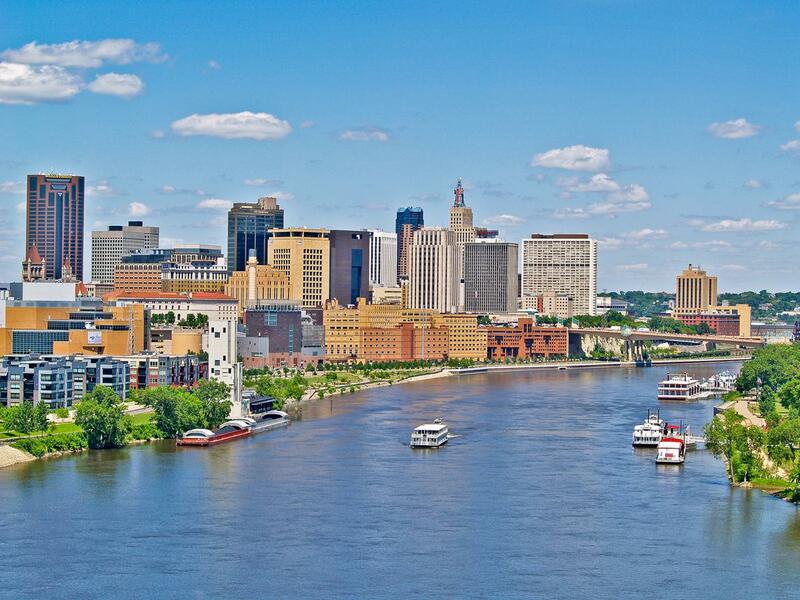 On the banks of the Mississippi River, Saint Paul has over 50 hotels in the area, including 1,000 hotel rooms connected by a climate-controlled skyway system and 1,500 rooms within walking distance to Xcel Energy Center. The state capital is also home to a variety of restaurants and bars, including high-end steakhouses, family-friendly restaurants, authentic ethnic eateries and a handful of local breweries. The NCHC has also partnered with Visit Saint Paul to help provide hockey fans with a fun and positive experience in the city while attending the Frozen Faceoff. Visit Saint Paul will provide the Frozen Faceoff with great fan and team enhancements, including a “welcome booth” at the Minneapolis-Saint Paul International Airport, a housing portal for fans to select hotels, event branding at participating hotels, event signage throughout the city of Saint Paul, a fan guide and a two-day Frozen Faceoff Fan Fest surrounding the championship weekend. The NCHC’s fifth season gets underway with five exhibition games on Saturday, Sept. 30 while the 2017-18 regular season begins Friday, Oct. 6 with six NCHC teams in action. The NCHC is an eight-school NCAA Division I men’s hockey conference entering its fifth season. Its members are: Colorado College, the University of Denver, Miami University, the University of Minnesota Duluth, the University of Nebraska Omaha, the University of North Dakota, St. Cloud State University and Western Michigan University. Since the NCHC began play in 2013-14, 17 NCHC programs have qualified for the NCAA Tournament, including seven Frozen Four berths in the NCHC’s four-year history, with the conference producing the last two NCAA National Champions in North Dakota in 2016 and Denver in 2017. NCHC programs have now won a combined 19 NCAA national championships in their history. For more information, visit the NCHC website at www.nchchockey.com. 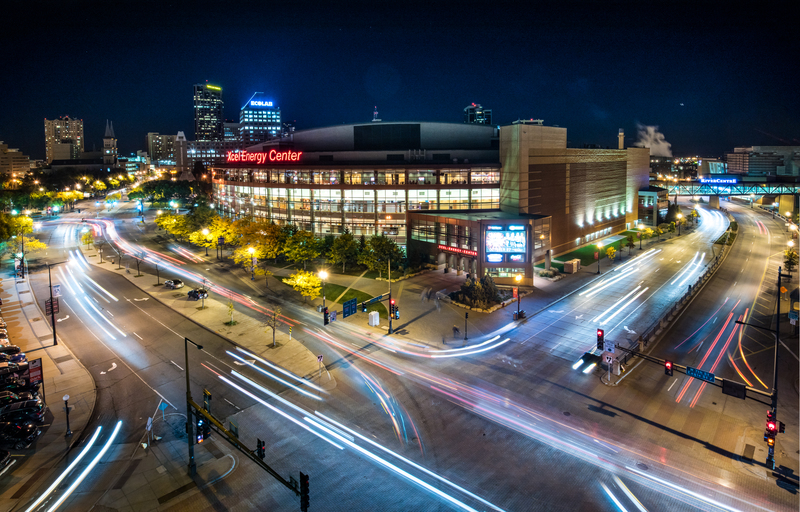 Regarded as one of the finest arenas in the world, Xcel Energy Center is home to the NHL's Minnesota Wild and a multitude of premier sports and entertainment events annually. The one-of-a-kind, multi-purpose facility is located in the heart of downtown Saint Paul, owned by the City of Saint Paul and managed by Saint Paul Arena Company, an affiliate of Minnesota Sports & Entertainment. Visit Saint Paul, formerly the Saint Paul Convention & Visitors Authority, was founded in 1927 as the Saint Paul Convention and Visitors Bureau, making it one of the oldest destination marketing organizations in the United States. The mission of the organization is to generate economic growth for Saint Paul by effectively marketing the RiverCentre campus, Saint Paul and the region as a preferred convention and tourism destination. Visit Saint Paul oversees management of the Saint Paul RiverCentre Convention Center and Legendary Roy Wilkins Auditorium. For more information go to www.visitsaintpaul.com. 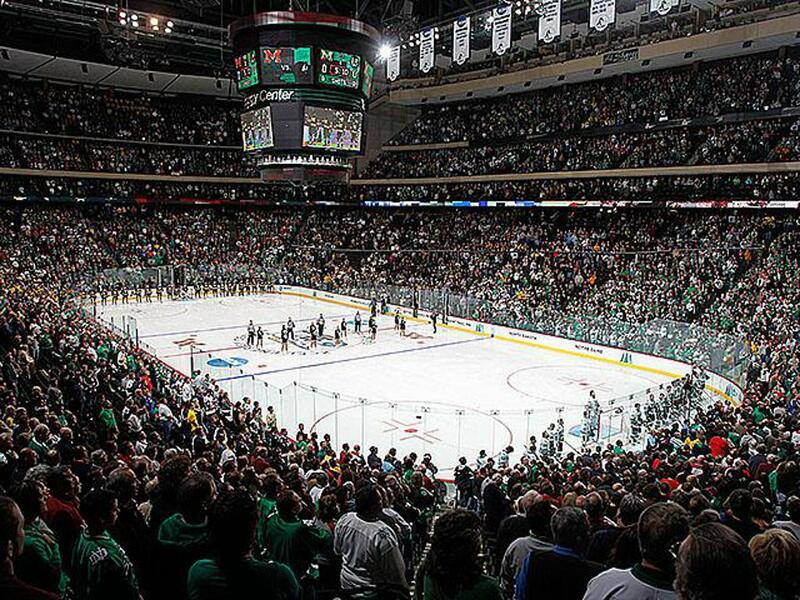 Xcel Energy Center during the 2011 NCAA Men's Frozen Four. The building will host the 2018 Frozen Four as well.